Contact Us- Please do not use for Media Requests. The Canadian Tactical Officers Association (CTOA) is a non-profit, fraternal organization directed by the needs of Canadian tactical officers and front line law enforcement. Our goal is to develop a professional network, committed to promoting and coordinating the sharing of information and best practice guidelines amongst law enforcement, corrections, military, and security providers, to meet the needs of these organizations. Additionally, to provide access to subject matter experts on the CTOA advisory board, that can provide consultation, expert testimony or, facilitate specific and effective practical training, based upon the most recent, realistic and relevant skills in crisis and risk management. What led to the development of the CTOA was the need for task specific training and equally important, the timely access to information and subject matter experts in the field, to meet a wide spectrum of concerns of the aforementioned services. We’ve all found ourselves in the position at one time, or another, tasked with providing answers, or operational solutions for a situation that we hadn’t been exposed to, or experienced before. Based upon my experiences, what has often frustrated that process is either the lack of knowledge, lack of ability, or simply not knowing where to turn for assistance. In most cases a solution is found, but not without hours or days of searching, to find someone who’s “been there and done that”, or attending expensive training that sort of address your needs. This can result in wasted resources, (time and money) a duplication of efforts, or worse case scenario, pressing on blindly; which may result in corporate liability, or criminal prosecution.In answer to the current trends of fiscal constraints, limited resources and growing public scrutiny, the response has been extremely positive and the timing favorable to launching CTOA. We are excited about the opportunity of being able to provide the mechanism for those in need to plug into a “live network”, a central clearing house of sorts, that will give its membership access to the combined knowledge and expertise of those that have gone before us. “There’s no one of us smarter than all of us”. 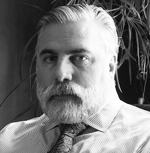 Mr. Bremner who has over 30 years experience in law enforcement including uniform patrol and emergency response tactical unit as Special Weapons Team leader. Jim is qualified as a sniper, weapons technician, tactical trainer and Use of Force and firearms instructor. He has provided instruction and seminars for various police, military, EMS and security agencies throughout North America and overseas. His many qualifications and/or certifications include weapons technician and instructor (on a variety of weapons), EOD technician and Andros and Pedsco operator, CBRN Instructor (live agent certified), chemical munitions and distraction device instructor, baton instructor, aircraft assault instructor, rappel master, close personal protection instructor, special reaction team instructor, and nuclear emergency response team instructor. He has more than 30 years of extensive martial arts and unarmed combat experience in Tae Kwon Do, Jiu Jitsu, Washu Kung Fu and Israeli Krav Maga, and is certified by Israeli Special Forces instructors. In addition to tactical training, Jim lectures on the subject of Post Traumatic Stress Disorder, and has co-authored, along with Dr. Sean P. O’Brien, an article entitled ‘PTSD and the Police’, which has been published in The Canadian Critical Incident Magazine, Illinois Law Enforcement Journal, RCMP Gazette and Blueline Magazine. Jim and Connie Adair have co-authored ‘Crack in the Armor: a police officer’s guide to surviving post traumatic stress disorder’, a self-help guide written to assist first responders in understanding the effects of work-related critical incident stress. 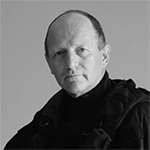 Jim also provides tactical police consulting for the film and television industries; most notably as tactical consultant for the award-winning CBS/CTV police action drama series, Flashpoint. He was responsible for training the cast in the handling of special weapons and choreographing tactical scenes. Jim also has an on screen roll in the Flashpoint interactive game found on CTV’s official Flashpoint site. Phil has over 30 years police experience that started with uniform patrol duties and progressed through SWAT training and employment in Toronto Police Service (TPS) Team 5 where he was involved in over 500 operations. Phil subsequently served as a TPS SWAT instructor before assignment to the TPS Intelligence Division where he managed or produced security assessments related to visiting Internationally Protected Persons, VIPs and public officials, special police operations, special events, asset protection, etc. Mr. Devine was the lead instructor for close quarter combat, counter ambush drills, and high risk vehicle dismounts for police officers deploying to Afghanistan as part of the International Security Assistance Force (ISAF). Mr. Devine’s many qualifications and/or certifications include EOD technician, weapons instructor (on a variety of weapons including Taser), rappel master, critical incident negotiator and critical incident commander, chemical munitions and distraction device instructor, general investigations, criminal intelligence operations and analysis, and counter-terrorism analysis. Phil retired from CTOA as Vice President to pursue other areas of interest but is still an integral part of who we are and what we represent. Mike served thirty-five years with the Toronto Police Service. He retired in May of 2008 having attained the rank of Sergeant. From 2000 until his retirement, Sgt. Babineau was the Senior Firearms Instructor for the Toronto Police Service and Administrative assistant to the Armament Officer and as such was responsible for developing and delivering firearms training and tactical training exercises for all Toronto Police Officers.Prior to this appointment, Mike served 6 years with the Toronto Police Emergency Task Force (SWAT Team) as a supervisor of special weapons teams and was a member of the Explosive Disposal Unit. In this capacity he participated in the resolution of over 185 high risk incidents including gun and offensive weapon calls, hostage and barricaded person situations and high risk warrant service. Mike also has 22 years experience performing general police duties including various uniform and investigative assignments.Mike is the recipient of several awards including the Canadian Police Exemplary Service Medal and Bar. He is the recipient of two Commendations from the Chief of Police, as well as 37 letters of commendation.Mike holds instructor ratings on numerous small arms and less-lethal weapons including O.C. spray and the Advanced TASER. In addition, he is certified as an Armourer for the Glock series of Pistols and Ar15/M4 Carbine.Mike’s many other qualifications and/or certifications include weapons technician and instructor ratings on a variety of weapons. Mike is an Ontario Use of Force Instructor, ASP baton instructor, rappel instructor, defensive tactics instructor, EOD Technician, post blast scene technician, hostage negotiator , ARWEN (Anti-Riot Weapon Enfield) armourer and instructor, as well as drug investigator.In 2003, Mike was appointed a Provincial Constable for the Province of Prince Edward Island mandated to instruct firearms and Tactics at the Atlantic Police Academy. After retiring from the Police Service, Mike was one of five Tactical Trainers contracted by a Nuclear Power Company. He, along with the other trainers were tasked with the development of course training standards and designing, delivering and evaluating training for a new Nuclear Response Force.